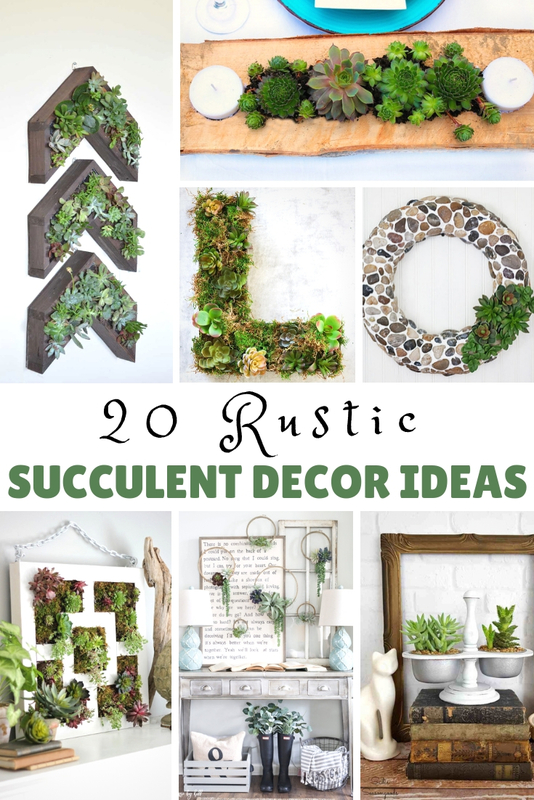 Use these rustic succulent decor ideas to fill your home with life and color. Succulents are so forgiving. They love the heat but also perform beautifully indoors with enough light. The farmhouse style trend has changed that for me and so many others. Suddenly DIY is not only approachable and doable — it is cool! We get to fill our homes and walls with everything from functional pieces of furniture with hand-selected colors and finishes. And we get to fill our wall space with beautiful things we imagine and create ourselves. It is no secret that I love succulents. You can find out all about succulent care here. But you should also know that I have them ALL OVER MY HOUSE. I have them tucked into corners, sitting in windows, hanging from curtain rods, and they line the path to my front door. Every spring, my daughters and I pick out flowers together to plant in several pots outside, around the mailbox – and this year, we painted terra cotta pots for new succulents we planned to add to the kitchen window. During that time, my two youngest decided they wanted to keep them in their rooms instead. I thought it was a brilliant idea since succulents are so forgiving and because it gave them something special from our gardening adventure to keep for themselves. 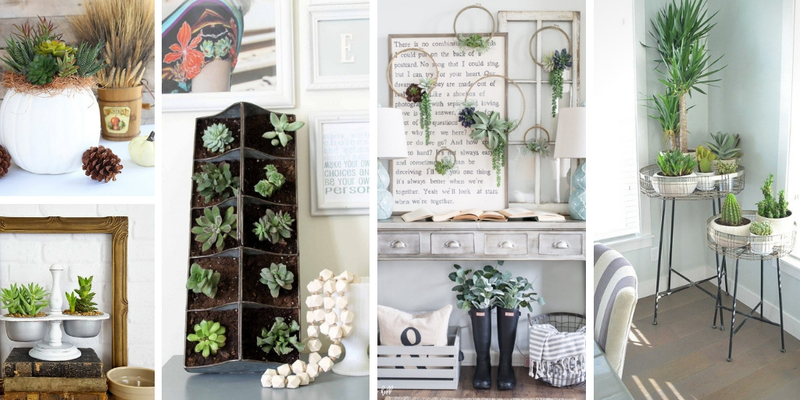 Most of the decor ideas with succulents we’ve come up with around the house came to be in just that way… Someone wanted something pretty in a special place. Or we found a special container and imagined what it might be. 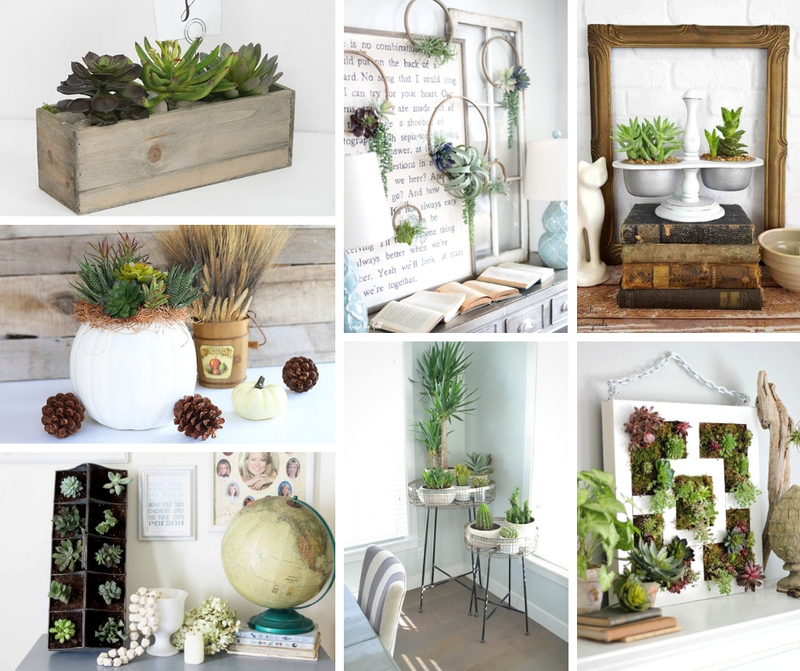 I love this collection of Succulent decor ideas for just that reason. Not only are they beautiful, but they are interesting and creative as well. Even if you don’t have a green thumb, don’t worry! 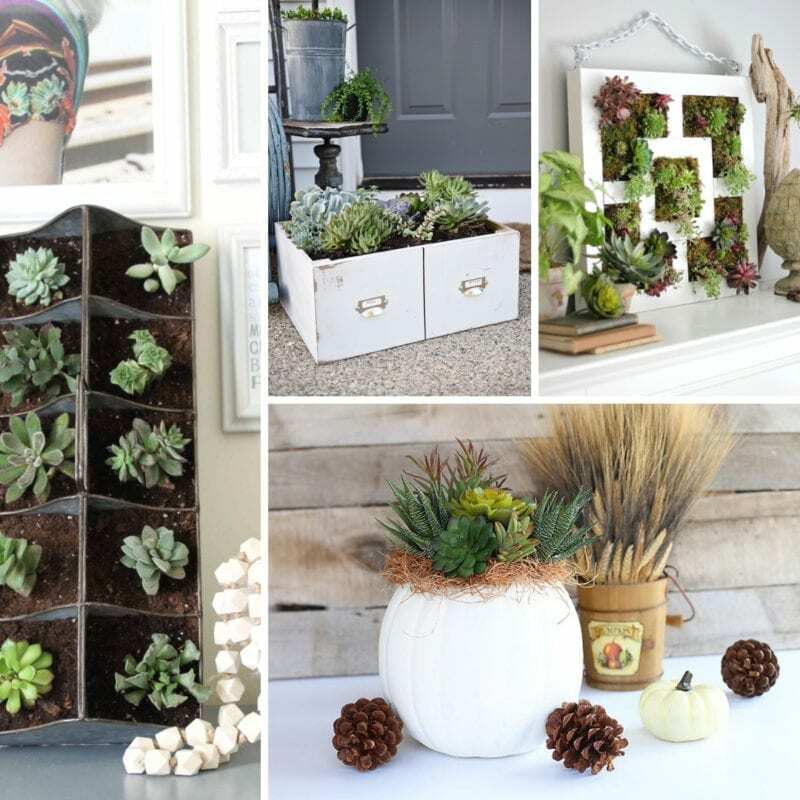 Here you can find a detailed guide on how to care for your succulents.